The original “tahu” made from soybean milk is a favorite snack food to both children and adults. However, a substitute material like coconut, can also be used in making “tahu”. 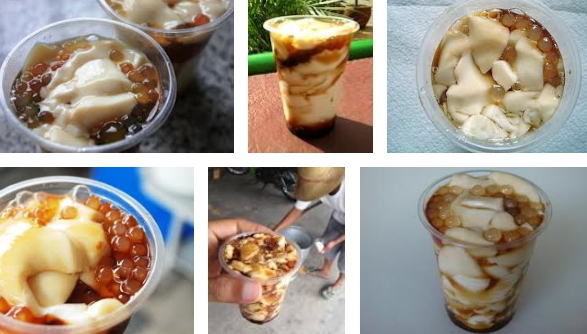 The use of agar-agar (gulaman) and whole coconut milk produced rich, creamy, and milky-white product similar in appearance and taste with that of soybean milk “tahu”. 2. Meanwhile, dissolve and heat 1/4 bar of gulaman. Strain and add this to the mixture heated from 60-75oC with continuous stirring for 20 minutes. 3. Pour the liquid in a container, let cool to gel. For the syrup, mix 2 cups water with 1 cup brown sugar or panutsa, then heat until it becomes sticky.